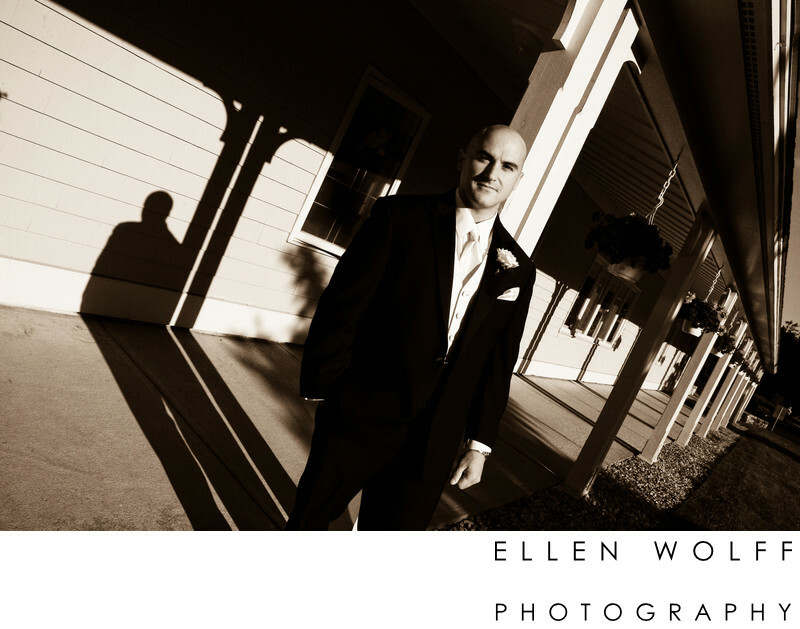 Brookfield CT Wedding Photography. Candlewood Inn. It looks like a posed picture of the groom, but this is actually an unplanned portrait outside the Church. I was checking outside the Church to see if the bride had arrived. He was standing outside. As I was looking around I saw the long shadows his legs made and the interplay between that and the architectural structure. I love this portrait. It really captures him in a way a totally posed portrait may have not been able to. Keywords: Brookfield CT (6), Gundersen (3).